This agency is a great example of what being together as part of the community is all about. CFM has provided grant funding for a number of projects for Options over the years, mostly related to growing the business to be able to support more intellectually disabled individuals. Our business revenues have almost tripled in the last few years, in no small part due to the generous support of CFM. But just as good is the fact that CFM also supports Options by sending business our way - in this case having us assemble and send out mailings. It is a great relationship and Options is really fortunate to have such an organization in the Mississauga community. Next to the MCSS, over the last decade OTF has provided more funding to us than any other single organization, much of it about 5 - 10 years ago when Options needed significant investment to develop our business and through that investment be able to support many more individuals who have intellectual disabilities. When we first obtained a Trillium grant our annual business revenues were well under $100,000. They have now surpassed $250,00 and still growing. The two large trillium grants we received were absolutely instrumental in providing the funds for the early part of this growth, and without them (and later CFM) we simply could not have developed the robust, competitive business we have today. 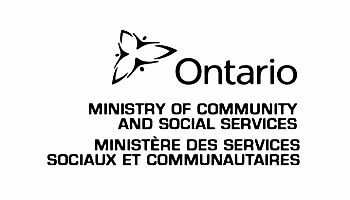 Options Mississauga has participated in this federal government program for many years. Essentially this program subsidizes the wages of 1 - 3 summer students, permitting us to hire where we would not otherwise have the financial means. It possibly provides the best "return for every dollar invested". Options has had really great, diverse students over time in several areas: marketing, social worker, graphic design, IT support - and we try to reserve one summer position each year for an individual who has an intellectual disability. This program has a corollary benefit: Options is a fairly unique place to work (being both a business and a social program provider) and it is typical for students at exit interviews to say they have gotten more out of their work term (specifically exposure to areas and topics they would not normally encounter) with Options than any other job experience they have had. At Options we have an informal policy of making sure all of our business and social partners know about the role our grantors have played, and continue to play, in the provision of service to individuals who have an intellectual disability. And these grantors realize that their funds are highly leveraged by Options since we can utilize investment to grow our business and serve more people while paying for most of the cost of operation ourselves. It is a great model that works! One of our goals is to steadily increase the percentage of our operating costs we can internally generate, which is not easy but we are slowly increasing this percentage (currently about 2/3). Financial independence has several benefits, including demonstrating a model that can be independently replicated elsewhere.